Screening for cancer can catch problems early; primary care physicians Dr. Sree Gogineni of Capital Area Internal Medicine, offers a variety of cancer screening options for patients who live in the Washington DC/Metro area. Call their family medicine practice today or request an appointment online. Cancer screening is a form of preventive care in which family medicine physicians look for early signs of cancer. Detecting cancer in the earliest stages improves the chances of a cure. Regular physical examinations with a primary care physician are one important activity in cancer screening, especially for skin cancer. X-rays or imaging studies like mammograms can help detect cancer, while blood tests and urine tests may also pick up early signs. Genetic mutations can increase the risk of some kinds of cancer; genetic testing can identify these mutations. Is cancer screening the same for men and women? Many screening recommendations are the same for men and women, such as screening colonoscopies for colon cancer. However, men and women have different cancer risks that affect screening recommendations. Since women are much more likely to develop breast cancer, routine mammograms are recommended for women but not men. Women also need regular Pap smears and pelvic exams to help detect cervical or ovarian cancer. However, men are at risk of prostate cancer and need prostate exams. What are the current recommendations for cancer screening? Although there are a number of different kinds of cancer, the American Cancer Society currently recommends routine screening only for breast, prostate, lung, colon, cervical and uterine cancer. Breast cancer screening (mammography) should begin by age 50 for most women, and both men and women should have a colonoscopy every five to 10 years beginning at age 50. The Pap smear is the standard test to detect cervical cancer; screening should begin at age 21. Women at high risk of uterine cancer may need an annual endometrial biopsy (the endometrium is the lining of the uterus). Heavy smokers should have an annual low-dose CT scan. Men who are at high risk of prostate cancer may need to be screened with a rectal examination and a PSA test every one or two years. 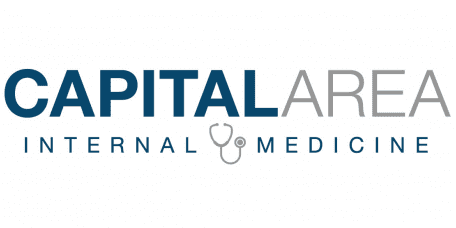 Call Capital Area Internal Medicine or request an appointment online to meet with a primary care physician for a preventive cancer screening.